Claudia’s Clan and Jeff Gorman Win this year’s Top Fundraising Awards! 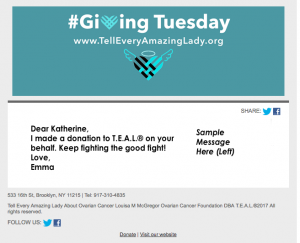 Thank you to all our fundraisers for your support in the 5th Annual T.E.A.L. Walk/Run! We are pleased to announce the top fundraising winners! Highest Individual Fundraiser: Jeff Gorman at $3,059 and still growing! Highest Fundraising Team: Claudia’s Clan at $7,730 and still growing! 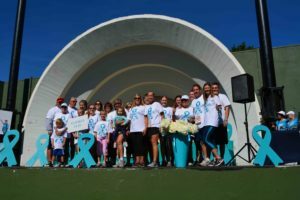 Please continue to fundraise throughout the month of September during Ovarian Cancer Awareness Month.